Today I'm introducing Friday Mindfeed again, the 2nd story in this new column because I want to be able to offer stories that help us and our children see the big picture. 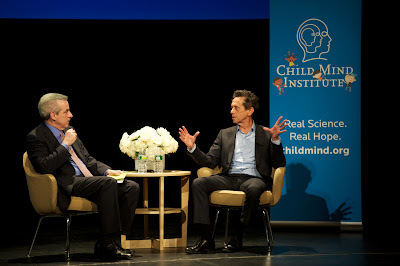 I was fortunate enough to attend a discussion between Brian Grazer and President of the Child Mind Institute Dr. Harold S. Koplewicz at the 10th Annual Adam Jeffrey Katz Memorial Lecture, a two-part program designed to raise awareness and educate the public about ADHD and dyslexia. 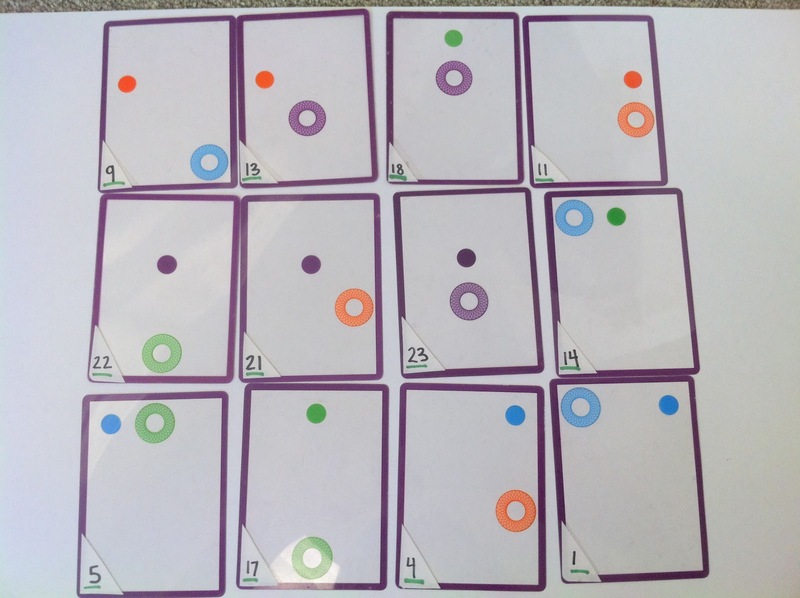 The name "Child Mind Institute" might ring a bell to you because veteran learning specialist Susan Schwartz who is also the Director of the Learning and Diagnostics Center there has offered her insights here for Pathwords Jr. and the Mensa Award-winning game Mine Shift. Sometimes, when my kids are not doing what they are asked to do, I reprimand them. But then I look at what they are doing and see that I probably might not have gotten annoyed or even angry at them if only they had just told me, "Mom. It's not what you asked me to do but you're going to like it. Just give me a chance." But they don't know how to do that yet. So I yell at them and then I see they've made something really great and want to crawl into a hole and eat my words. If I was a better parent, I would figure out how to foster that in them and how to "stop with the yelling," as my kids like to say. Stories about successful grown-ups who got yelled at A LOT when they were kids always inspire me. For one, the story in itself is interesting because I love underdog success stories. Moreover, if you happen to have a kid whose creativity might get him into trouble or whose gifts are not exercised enough throughout his everyday life then stories like Brian Grazer's is perfect food for the parental mind hungry for some hope and good news. As both a writer and producer, Brian Grazer has been personally nominated for four Academy Awards, and in 2002 he won the Best Picture Oscar® for A Beautiful Mind. Who did not love A Beautiful Mind? If I am watching a movie like that then usually, by the time it ends and the credits start rolling, I start to realize that I have my body back because my mind had been totally into the movie. All you can say is "Wow......"
Among his other films, which have earned a total of 43 Oscar nominations, are Apollo 13, Frost/Nixon, J. Edgar, and Splash. Brian Grazer's television productions, which have earned 138 Emmy® nominations, include Parenthood, Friday Night Lights, 24, Arrested Development, Felicity, and SportsNight. He and his longtime friend and business partner Ron Howard began their collaboration in 1985 with the hit comedies Night Shift and Splash, and in 1986 they founded Imagine Entertainment, which they continue to run together as chairmen. The Kaye Playhouse at Hunter College in New York City was packed with many attendees interested in hearing of his struggles and how he was able to move not only forward but become enormously successful. I met a woman who even brought her son. Go Mom! What was it like going to school? It was horrible. From the very beginning. Because I couldn't read, and at that time they didn't classify it as dyslexia, it was just that you couldn't read. I was always being reprimanded. And not being able to read also disables you from answering questions, so you're hiding when the teacher's looking around to say, "show of hands." There'd never be a show of my hand. I would act out in different ways—not horribly, but I was mischievous. It was a way to find my way through the embarrassment of not being able to read. Did school ever get easier? Finally in college I figured out how to study. In the last part of my career in college I got straight A's. I learned that I was a good synthesizer—I'm actually pretty good at understanding what's important. Like the big picture of things. So I was able to highlight what was actually important, identify central ideas, and umbrella ideas that would lead into questions that are subsets. I realized that I had that gift or trait where I could highlight things and then look at that highlighted material just before going to bed and wake up with pretty much total understanding. Not total memory, but complete understanding of all of the implications of the big ideas. So I could take tests, and do well at them. The very next day after the lecture, I had an interview with a psychologist about a logical reasoning/visual spatial game and how certain people who did well at this game must be able to see the big picture and know where everything is and what fits with what and what doesn't go with what and what will create a problem... etc... The people who do well at such games amaze me. I can't ruin the surprise yet but this whole idea of being able to see the big picture really is a talent worth cultivating, isn't it? Does Dyslexia Come with a Bonus Gift? Toys are Tools endeavors to not only show that toys can be used as tools to build skills but that they can also be used to feed a child's natural talent. Feeding talents is very important to me and that was exactly why I bought Swish. It's not like Number 1 Son plays it in the most easiest way possible. But to him, this kind of difficulty is as exhilarating. I still think he misses the big picture a lot but he's only eight so we have time to work on it some more. Regardless, it's very clear to me that Swish is a game that promotes big picture thinking. You do have to rely on your memory to remember where everything is and what the needs are in each section but at the same time I believe that if you have a talent in this area then, it's easier to remember it. 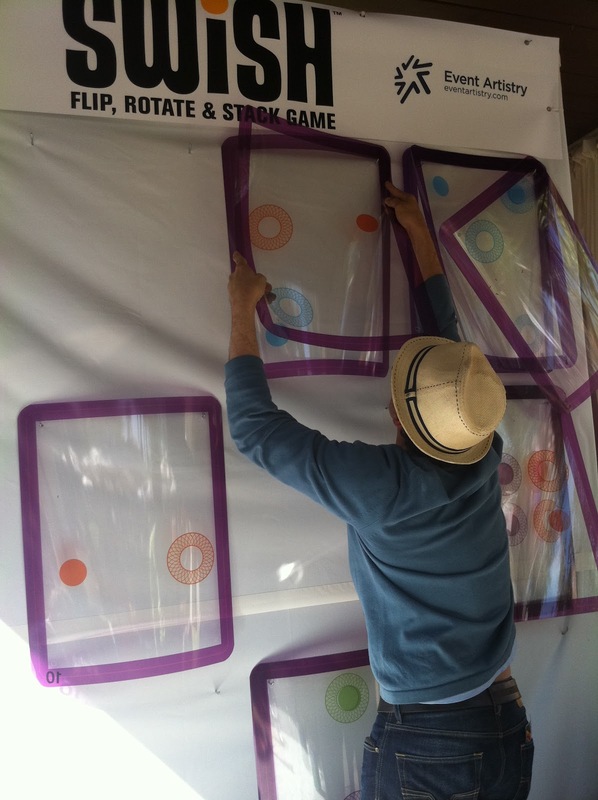 I also have a feeling that if you put Swish in front of Brian Grazer, he would make so many Swishes so fast that you would be lucky if you get one two-card Swish. My son had a swim instructor who lives with Dyslexia. Coach Michael Jackson (for real, that's his name) is one of the best teachers I have ever met in my life. For one full year, every week, he would come back with something new to teach Number 1 Son how to swim better. Every week, my son got closer and closer to his goal. How many teachers bring books, computers, orange juice cartons, funny face glasses with light-up noses to the pool to help a kid learn how to swim? I think Coach Mike is gifted and he helps me make the connection between dyslexia and creative thinking so easily. At Yale University, there is an institution called the Yale Center for Dyslexia and Creativity. What an awesome name. 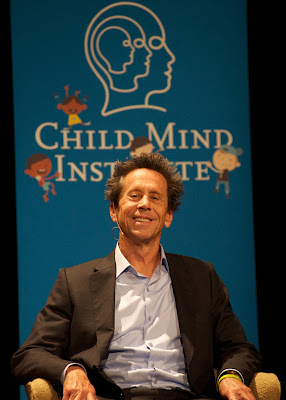 I'm very grateful to have attended this discussion between Dr. Harold Koplewicz and Brian Grazer. It was enriching and hearing stories like Brian Grazer's always help me come one step closer to parenting from a big picture perspective. I can't wait to see who'll be honored at the Adam Jeffrey Katz Memorial Lecture next year. If you missed my review of ThinkFun's game Swish, click HERE NYSCI's David Wells loved it so much, right after we finished his interview, he hung up and went to the Toy Industry Association website to vote for it because it was a nominated for Educational Toy of the Year.